LEGO is a fun company, that happens to make one of the best toys you can buy to bring out a kid’s imagination. One of the most intimate joys I have had as a dad so far is watching my kids create something out of nothing with Lego. Watching their little eyebrows furrow as they try to figure out how to get the idea in their head to work with the blocks at their feet. It’s a nice time with the TV off and the minds working. And they just so happen to be run by incredibly awesome people too. 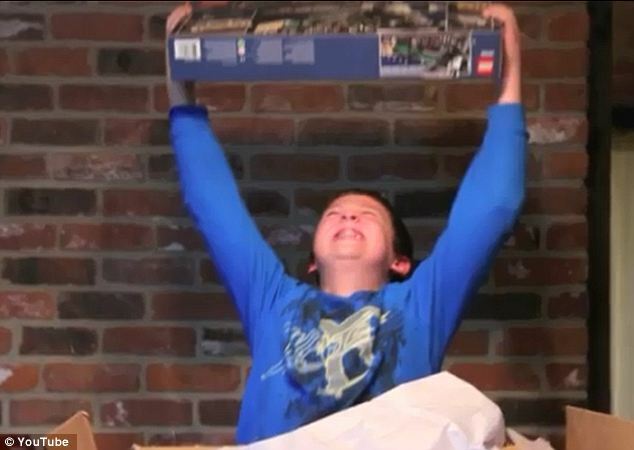 First a little while ago we had the awesome story about James, the fan with Aspergers (pictured above) who saved all his money to buy a very special set of LEGO (The Emerald Night Train) only to have it be way out of his price range. As a collectible the set skyrocketed in price. James wrote a letter to LEGO headquarters and asked them for help to find the set. They responded in an unbelievable fashion. Not gonna lie I criend big manly tears reading that story and seeing the joy on that boy’s face. Now we have yet another example of customer service done right. 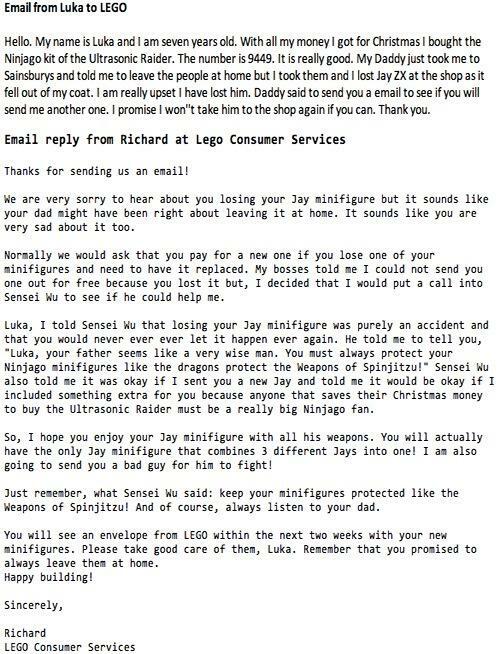 a Young Ninjago fan took one of his minfigs out for a stroll and accidentally left the Ninja Jay at a store during a family outing He wrote to the Customer Service people asking if they could help him. And this is how they responded. My Hat’s off to Lego for continuing to make educational, and engaging toys fun for adults and kids. From one dad who spends hours helping his two kids play with Lego in it’s various incarnations Thanks! PS I got my own set of Lord of the Rings Lego for Christmas… Couldn’t have been more excited! Twitter / simonapps: An email @LukaApps sent to ….